Published in New York by R. H. Russell. Greenough, Sarah. 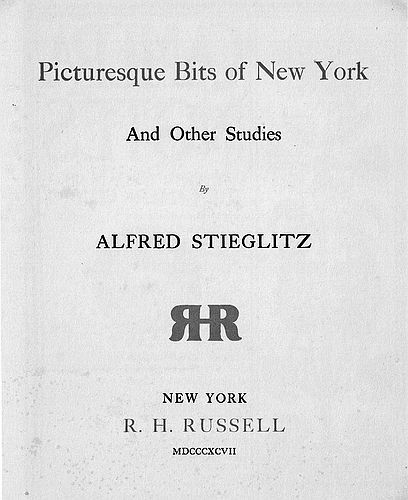 "Alfred Stieglitz: The Key Set, The Alfred Stieglitz Collection of Photographs, Volume Two, 1923-1937." Washington: National Gallery of Art, 2002, p. 937.